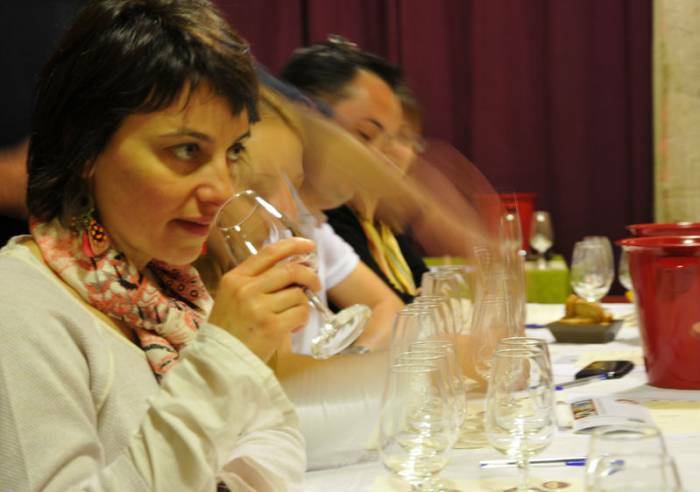 The tasting school organises informative tasting sessions for the general public throughout the year. These sessions provide an opportunity for cyclists, touring the region, to learn more about the countryside they’ve explored or develop their wine tasting experience when visiting estates. The school is located on an existing bike route, 3 minutes’ walk from the Tourist Office. To take part, all you have to do is book your place on one of the school’s scheduled sessions or ask the school to arrange a “tailor-made” session for you. We can also organise tailor-made sessions on request. In this instance, we require 2-3 days prior notice (to ensure we have room and staff available). Cyclists enrolled on a session can cycle to the school and leave their bikes in the reception area, on ground floor level (accommodates approximately 8 bikes). We have information available about existing bike routes, a bicycle repair kit in case of any problems and can fill water bladders, if required. Toilets, Parking Tourist brochures, Repair kit.